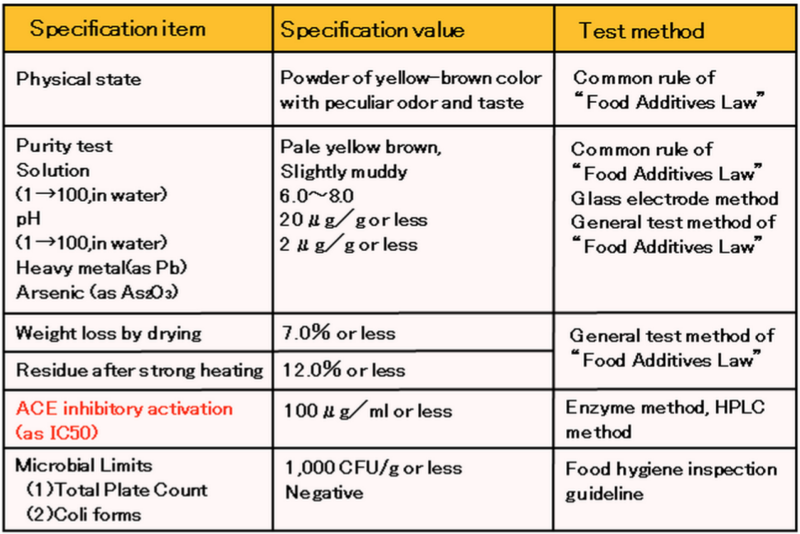 “Sesame Peptide KM-20″ is the product manufactured through extraction of protein from defatted sesame, action of protein decomposition enzyme and the compounding of dextrin to finalize it as powder. KM-20 is obtained through the enzyme decomposition of sesame protein. High degree of ACE inhibition activation was confirmed as regards content. In the case of merchandised anti-hypotension drugs, the chemical action for dropping of blood pressure is acute. However, KM-20 the action is rather Moderate working gently to the human body. KM-20’ action and effect contribute to stopping the work of Angiotensin Conversion Enzyme (ACE) and decreases the generation of the substance (Angiotensin II) which shrinks blood vessels. Additionally, when the action of this enzyme is stopped, resolution of a substance (Bradykinin) which acts to drop blood pressure can be prevented, resulting in a doubling effect in lowering blood pressure. This product can be utilized as nutraceuticals and effective contents can be easily taken in by the intake of small amount because these contents were amply contained. As the product is powdered with the compounding of dextrin, it was made possible to compound it into every type of food conveniently and steadily. Under the strict control and analysis, we are always sure to deliver the product of consistent quality. Powder of pale yellow brown color having particular flavor. Regarding 11 slightly hypertensive persons (male, age 31~54), there have been meaningful blood pressure reduction averaging 8 mmHg for SBP from the 2nd week after the start of dietary peptides feeding, and an average reduction of 5mmHg for DBP from the 3rd week after the start of dietary peptides feeding. 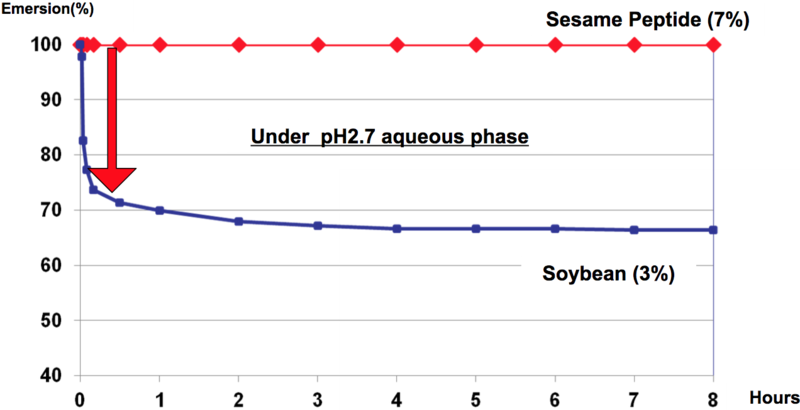 The Emersion features of Sesame Flour is not influenced by pH change, though it falls rapidly in case of Soybean. 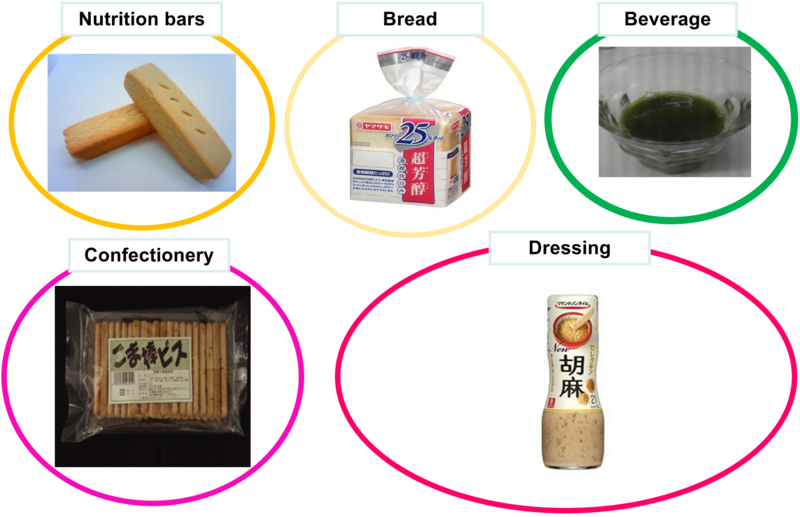 KISCO acquired the patent of making food product process using Sesame Flour’s Emersion increasing features under pH aqueous phase. 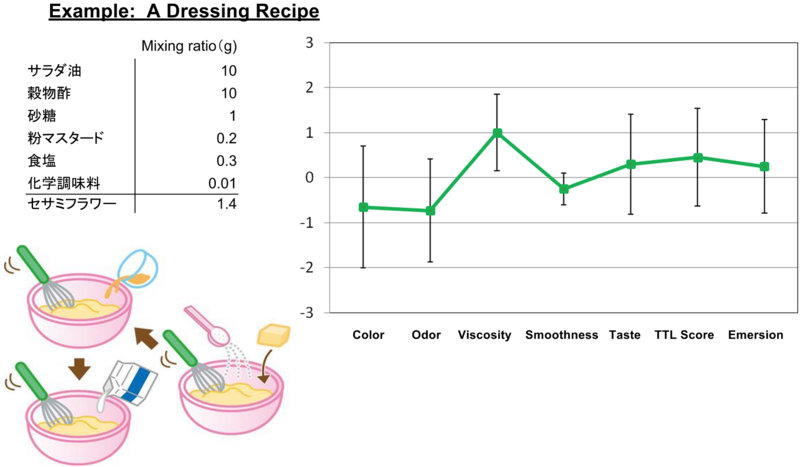 The emersion stability of Sesame Flour is affected by mixing ratio. With over 7% ratio, it achieves over 80% stability even under 80 degree C high temp and 75% RH high humidity test. 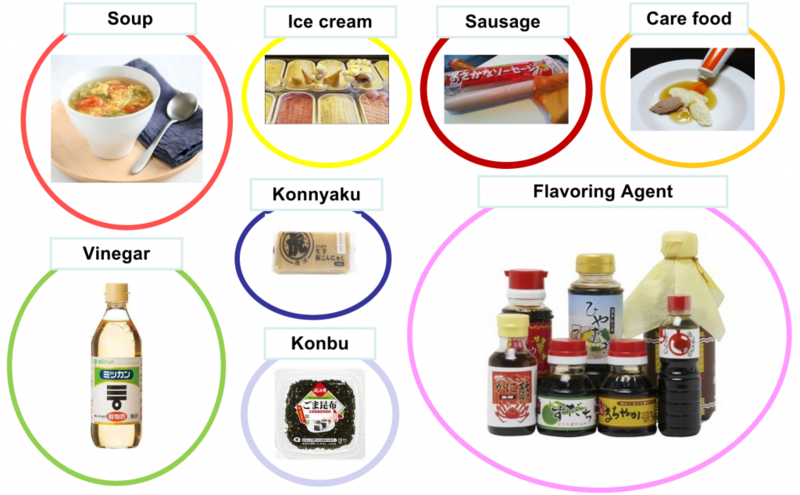 KISCO has developed customer specific formulation and many recipe adopted to each food market requirement using Sesame Peptide.